Educators are amongst our strongest supporters. You identify students who need our help and you advocate for them. Having TFSS Ambassadors within our schools is invaluable to us. As educational leaders, you see the issues first hand and can identify what our students need. As an Ambassador you have the opportunity to help students even more than you already do! By simply spreading the word and telling other colleagues and community members that we exist, you are helping students tremendously. By inviting a TFSS rep to present in your school, you’re giving your staff and students the opportunity to learn more. By participating in one of our campaigns, hosting your own fundraisers or asking for a TFSS donation in your name, rather than a holiday or year-end gift, you’re having a direct impact on the lives of students across the city. As a TFSS Ambassador you truly support our students. Become an Ambassador. Start spreading the news. Have a lasting impact. Meet Sabrina Barone, Assistant Curriculum Leader at York Memorial Collegiate Institute. Sabrina has been a TFSS Ambassador well before TFSS had an Ambassador team! Starting in 2010, Sabrina spearheaded the largest social justice club at York Memorial called “Give Charity”. Give Charity gives students the opportunity to make a difference both globally and locally. Sabrina found TFSS because of her passion for supporting students. The next thing she knew she was in the subway, shaking donation jars and singing alongside her students to raise public awareness and funds for Student Nutrition Programs through our TTC Take Over. Sabrina knows all too well that if she’s teaching a hungry student it’s hard for them to focus and, if they can’t focus, it’s hard to learn. 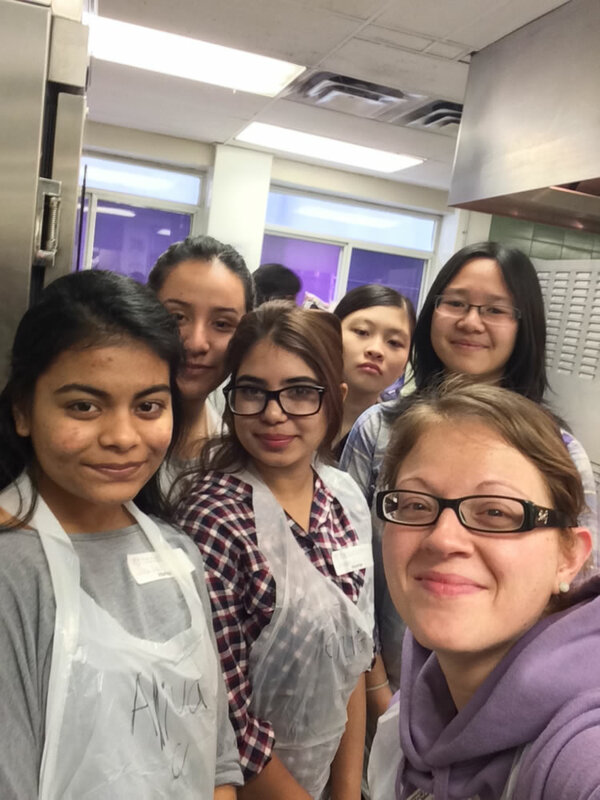 Sabrina “jumped” at the opportunity to help support hungry TDSB students, but she didn’t stop there. Through Sabrina’s leadership, her students have volunteered and participated in every TFSS event and campaign. From rallying cheering committees, to selling festive red noses, to creating her own in-school fundraisers- Sabrina has never missed an opportunity to support her charity, TFSS. And TFSS couldn’t be more thankful for dedicated and passionate educators like Sabrina! Meet more of our dedicated Ambassadors.